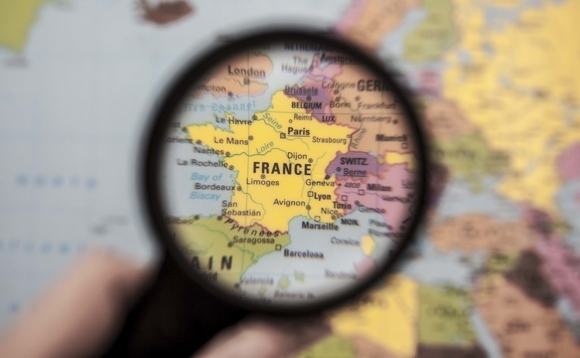 As the decisive round of French presidential elections will take place on 7th May, NN IP analysed the impact of Macron’s electoral victory on the financial markets, the French economy and the European Union. The polls indicate that Emmanuel Macron is likely to beat his competitor Marine Le Pen by a margin of around 60% to 40%. However, in the remaining days, the survey values can become somewhat narrower. Especially since there is still a large proportion of voters who are irresolute or perhaps did not vote at all. Therefore the possibility of a victory of Le Pen is still not off the table. But we still expect Macron to become the president. France: Will a Macron victory reduce tail risk in Europe? Is Le Pen mightier than the sword? Macron’s program suggests that he wants to introduce the Nordic model in France. The core of this model is a combination of structural reforms that make the economy more flexible and provide government incentives to increase investment. Macron plans to reduce government spending by €60bn over five years, which is partly due to the elimination of 120,000 jobs in the public sector. It also plans to reduce taxes and an investment plan of €50bn. It therefore places particular emphasis on the need to improve France’s competitiveness and promote innovation. His program includes numerous business-friendly measures. On the tax side, he has promised a reduction in corporation tax from 33.3% to 25% (the European average) and a reduction in labour costs. The environmental taxes are also likely to rise. 80% of the households would be exempted from the tax on capital; capital gains should be taxed at a flat rate of 30%. Macron predicts an unemployment rate of about 7% (3% points lower than currently) by 2022, which would lead to significant tax cuts. An important aspect of reducing unemployment is the Macron training program. He also advocates more flexibility in the labour market and more flexible working hours. At the European level, Macron’s election victory could lead to a strengthening of the Franco-German axis, which is the driving force behind European integration. Among all presidential candidates, Macron is the biggest advocate of the European Union. If he becomes president, this could increase the acceptance of politicians across the EU. Macron calls for greater integration by creating a suitable European management structure with its own budget and fiscal policy. He also wants to set European social rights, including minimum standards for minimum wages, unemployment insurance and occupational training requirements. The possibility that Le Pen winning the second round of the presidential elections is very slim, but it cannot be ruled out. If she becomes the president, we expect immediate capital flight into low-risk investment classes due to their ideas of restoring France’s sovereignty and its attitude towards Europe in the financial markets. In France, as a result of cohabitation, the reform dynamics would come to an end as expected. In addition, the French president has a lot of power in foreign policy, and Le Pen is unlikely to co-operate with the German Chancellor. This will deprive Europe of the urgently needed further progress with regard to a fiscal and banking unions, which will ultimately affect its stability. It is, however, important to emphasize that Le Pen has very limited powers in this hypothetical scenario. In France, the presidential elections are always followed by the parliamentary elections to ensure that the power is not in the hands of the president alone. The parliamentary elections are held in June. The Social Democratic Party currently holds the majority in parliament (289 members), but according to recent surveys, this is likely to shift. The Republicans (currently with 198 members of parliament) would be able to win a clear parliamentary majority in the forthcoming elections. Marine Le Pens Party Front National currently occupies only two seats in Parliament, and although a significant increase (to about 60 seats) is expected, the Front National would still be far from a majority. Without a majority in parliament, Le Pen must form a coalition government. The constitution provides that the president appoints the prime minister. However, the prime minister must belong to parliament, most likely the republicans. Therefore, Le Pen should be prevented from implementing its program due to lack of parliamentary support. However, Macron is also dependent on the parliamentary majority if he wants to implement his political program. The President may also convoke national votes, but only if the motion is submitted by the Prime Minister or one of the two Houses of Parliament. Also Macron’s party En Marche! will not win a majority in the parliamentary elections. He, too, must therefore nominate a prime minister, who belongs to another party. Traditionally, this is a recipe for political paralysis in France. Macron must strive for broad support for the reforms of the labour market, which will certainly meet with resistance. However, as the political landscape in France is clearly moving, there is still the possibility that Macron can build on support from a coalition of its own party and other reformist parties. If Le Pens wins, there will be negative market reactions, the market is expected to react positively to a Macron victory due to its market-friendly policy, its readiness to reform, and its pronounced pro-European attitude. The markets have already reacted very positively to the results of the first round: the euro appreciated, the spreads of French government bonds narrowed and French equities recorded strong increases.